Canadian culinary artisans from coast to coast have come out of the kitchen in anticipation of Canada’s first Artisan Incubator. With hundreds expressing interest in participating in the culinary showcase, narrowing down the field was a challenge; but today, ACE Bakery, along with a panel of distinguished Tastemakers, revealed the 20 participating artisans. 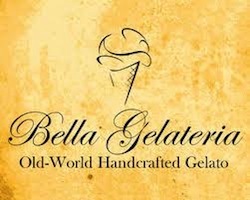 Showing the rest of the country the best of what British Columbia has to offer will be Bella Gelateria from Vancouver. The Artisan Incubator will be held in Toronto in June, where 20 artisans will be recognized at a showcase, given national exposure and have the opportunity to share in the industry insights ACE Bakery has gained over the last 20 years. ACE hopes to help them achieve success while also drawing attention to the thousands of hard-working artisans who put their heart and soul into everything they make. During their time in Toronto, James Coleridge from Bella Gelateria will attend a seminar covering topics such as branding, marketing and business planning to help them develop their artisan business. This seminar will feature a variety of industry experts including representatives from BMO Financial Group, lead sponsor of the Artisan Incubator, who will provide insights into small business financing and management. The artisans will also host public workshops, network amongst themselves and other industry members and have the chance to be one of two artisans selected for further business development. The Artisan Incubator will run from June 20 – 22, 2013. For more information about the artisans, please visit www.acebakery.com/artisan-incubator/artisans/. One of North America’s leading artisan bakeries, ACE Bakery opened in 1993 creating hand-made, European-style rustic breads. The gentle shaping of each loaf, long fermentation periods, and a stone deck oven all work to create exceptionally flavourful bread with a pleasing texture and crisp crust. The breads contain no preservatives and are made with the finest ingredients. ACE Bakery’s baguettes and artisan breads are available at hundreds of restaurants, hotels, caterers, grocery and gourmet food shops across Canada, throughout the United States and the Caribbean. Community involvement is an essential part of ACE’s philosophy. The company donates a percentage of its net profits to charitable organizations in the principle centres where ACE breads are sold. ACE’s focus is on food and nutrition programs that assist low-income members of the community, financing culinary scholarships and supporting organic farming initiatives.